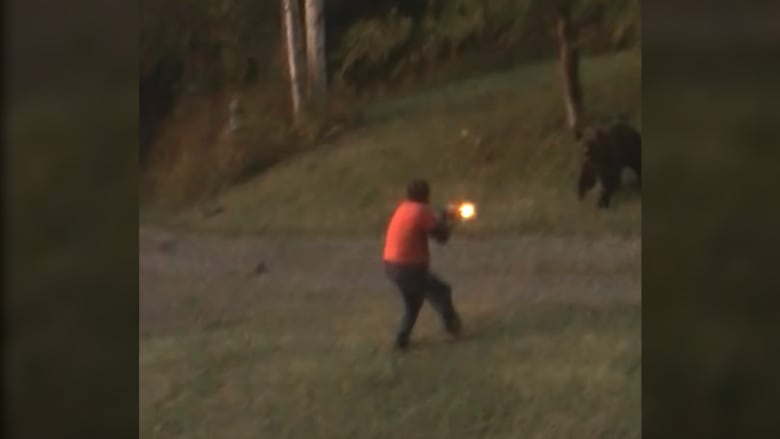 Video of a Bella Coola man trying to scare a grizzly sow out of his backyard with a dog and a shotgun is renewing warnings about the dangers of mixing bears and dogs. Lawrence Michalchuk told CBC he was trying to scare the female bear off his property when he walked toward her in video posted on social media Oct. 14. In the video, a shot is heard then the dog runs ahead of the man, closer to the bear. In that split-second, the bear turns and charges. Michalchuk shoots at the bear's leg — sending it head over heels — and giving him just enough time to get to safety in his house. 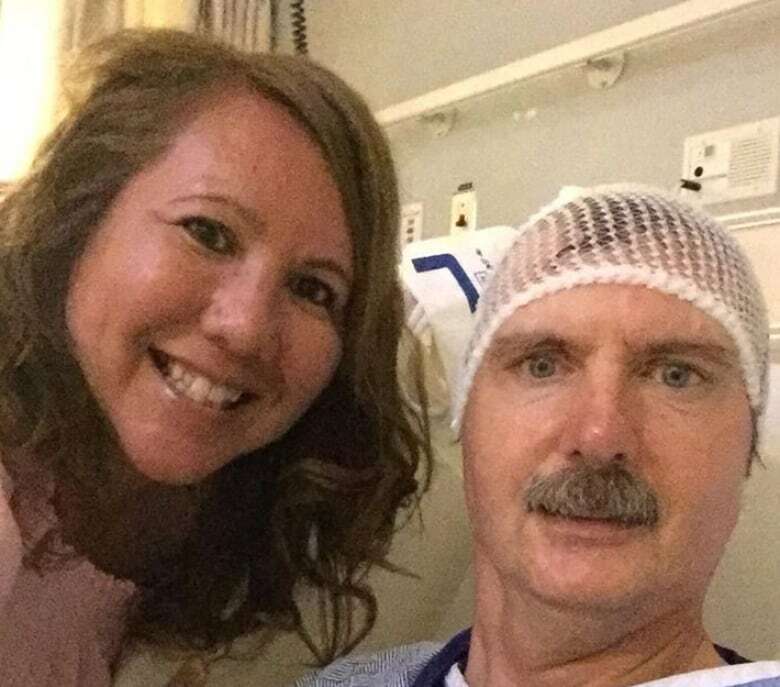 He got lucky, bear attack experts say. Bears and dogs can be a dangerous mix for humans, especially when all sides are territorial and "wound up," said bear attack researcher Stephen Herrero after watching the harrowing video. "It's a dynamite situation," said Herrero who believes the dog may have triggered the bear to attack. While many people hike with dogs, believing canines will alert them to the scent of danger and scare off a bear, animal behaviour, experts say that's often not true. "The dog will not keep people safe," said Herrero, a retired University of Calgary professor. 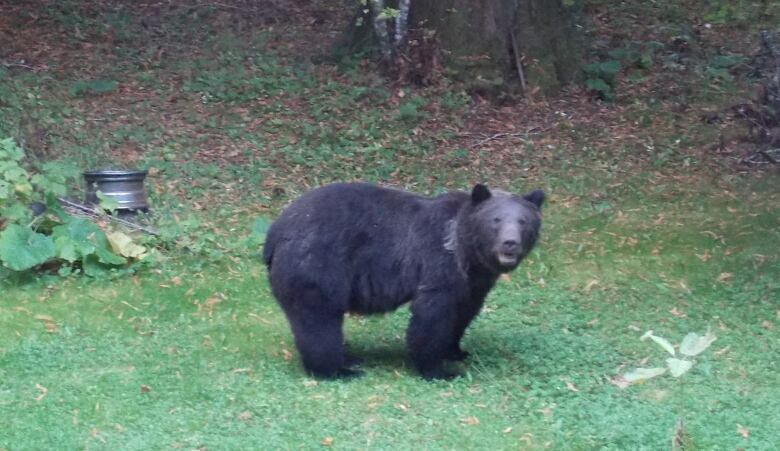 With bears, a dog is a bit of a wild card, he said, especially if the dog is off-leash. Herrero began an analysis of bear attacks in North America after he noticed that dogs were often involved. 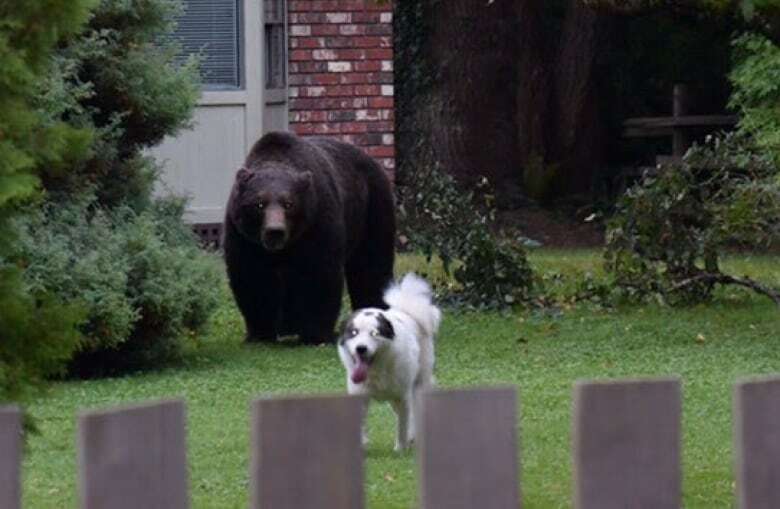 "Most dogs, when they are around bears, aren't exactly under control," he said. "If they are not on a leash it takes a really well-trained dog to keep if from going after a bear." In the 92 attacks he analyzed between 2010 and 2014, more than half involved dogs and many were caused by dogs. Herrera did the informal study with Hank Hristienko, a biologist with the province of Manitoba, to update data he'd gathered for his 2011 study on carnivore attacks published in the Journal of Wildlife Management . 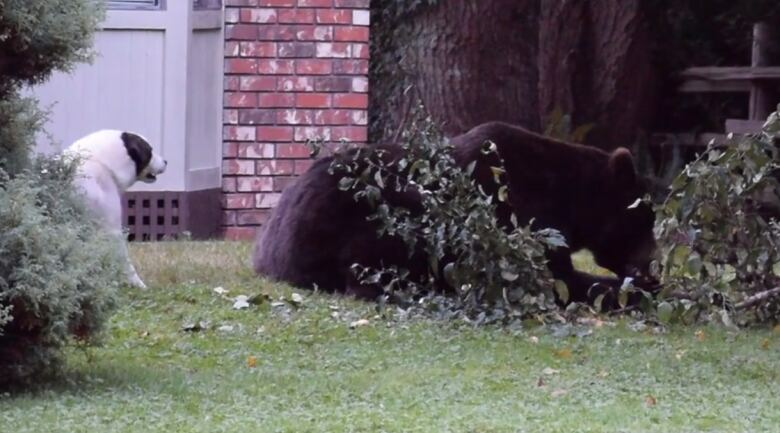 "In most cases the bear got wound up interacting or maybe fighting with the dog and then decided to shift its attention to the human," he said. Wildlife safety experts also urge people to keep dogs leashed in bear country, or leave them at home. Frank Ritcey, of WildSafe B.C., which aims to reduce human-wildlife conflict, says the most effective bear deterrent is pepper spray, and using electric fencing in a yard. 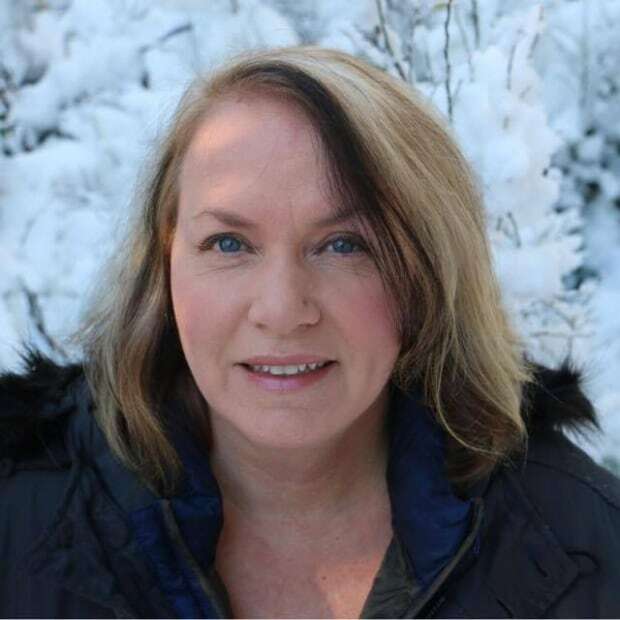 Ritcey said recent research published in Scientific Reports blames human risk-taking and increased outdoor activities for an uptick in carnivore attacks. Walking an unleashed dog and approaching a female animal with its young both make the top five list of risky behaviours. Bowser: best friend or bear bait? But dog owners say canines alert them that a bear is near. Some even argue that dogs have saved them from bear attacks. Herrero says a well-trained, leashed dog can be a benefit. Bella Coola park ranger Jordan Carbery has seen both scenarios. 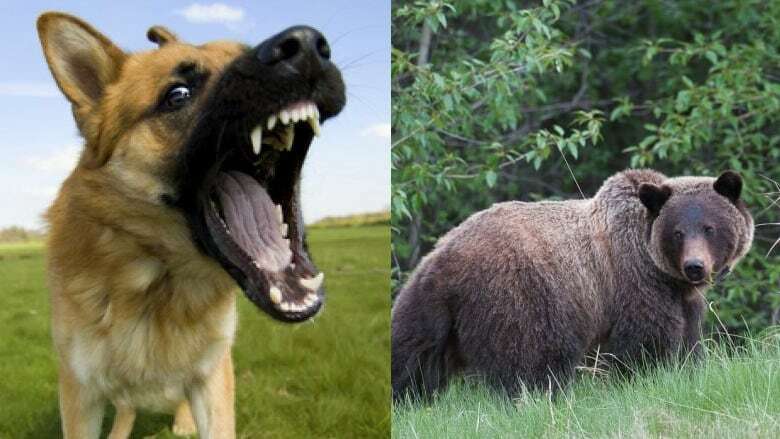 A dog's bark can scare away a bear, but if chased a bear will often turn on the dog and chase it back to the dog walker. Carbery knows the risk of a territorial bear. He survived a mauling last July. A sow with cubs was eating fruit near his yard when she charged Carbery to protect her young. Carbery was hospitalized with a torn scalp, ear and other injuries. Last Saturday, he met Michalchuk, the man who shot at a bear in his yard this month. Carbery watched video of the encounter and said the dog may have incited the bear. But he said once that happened, Michalchuk had no choice but to shoot. "It was hard to watch his footage. It was so close. That bear nearly got him. If he wouldn't have had his rifle and hit him the way he did — she would have got him."